Get ready Indiana !!! The Crappie Psychic is coming to you with all of our amazing products and awesome show specials!!! 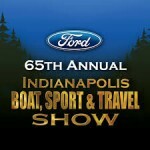 Come see us at The Indiana State Fairgrounds on February 15-24!!! Booth #'s 4520, 4521, 4522!